Have you ever been in a situation where you either have to get down and dirty or spend a hefty amount on a cleaner? You have? We thought so, however, we have the perfect solution for all your drainage problems especially a clogged toilet bowl. If you own a house we bet you would have witnessed a clogged drain and tried everything from the hooked hanger to mop and plastic bags to open it. While these methods are great when it comes to doing the job, we believe it is a little too much hard work. Usually the traditional methods require a lot of hard work, patience, unclogging utensils and a lot of grossed out feelings. Depending on your drain situation, you can opt for a method that best suits you according to the items available in your pantry. The more unconventional methods require you to throw in some liquids and mixtures in the toilet bowl, leave it in there for a couple of minutes, flush and voila, you are done. 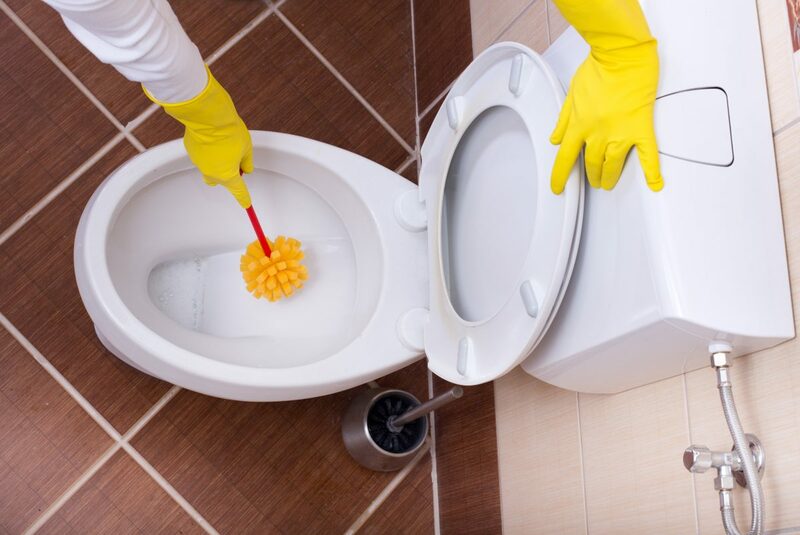 Did you know you could unclog your toilet bowl with this easy to find item? The first hack that we will be disclosing to our valued readers involves a dishwashing liquid. Shocking, right? We didn’t believe it either until we saw the magic happen right before our eyes. It is cheap, easily available and doesn’t require a lot of time or hard work. While this technique worked for us, it doesn’t mean that it will work for all sorts of clogs. All clogs are different and require different techniques, the dish wash liquid worked for us because we had a paper towel that was blocking our bowl. So, How Does the Technique Actually Works? Simply pour some dish washing liquid in the toilet and give it a few minutes so it settles down at the bottom of the bowl. What this will do is that it will lubricate the blockage and allow it to pass through much easily. Now that the liquid has settled down, pour a hot bucket of water. The two will mix up together and find its way to the trap way. The tissues will move further and your problem will be solved. Another quick dish washing liquid hack would be a toilet bomb. Don’t worry it won’t cost you a fortune, you can simply make one at home. You will need baking soda (2 cups or 300g), Epsom salt (1/4 cup or 75g) and dish washing liquid (8 to 9 table spoons). Mix the dry ingredients together and start adding the liquid, 1 table spoon at a time, until it binds together. You can press the mixture in a muffin tin and let it dry overnight. Drop the bomb in the toilet bowl and pour over 4 cups or 2 pints of hot water. Let it sit in the toilet for some hours. You can flush out the mixture when you feel that the bomb has done its work. These hacks come in handy especially if you don’t want to get your hands dirty. You don’t need gloves or plungers for either of these methods. Do give them a try and let us know in the comments below.